I love these smaller cakes – they’re just so perfect for an intimate gathering and too cute! 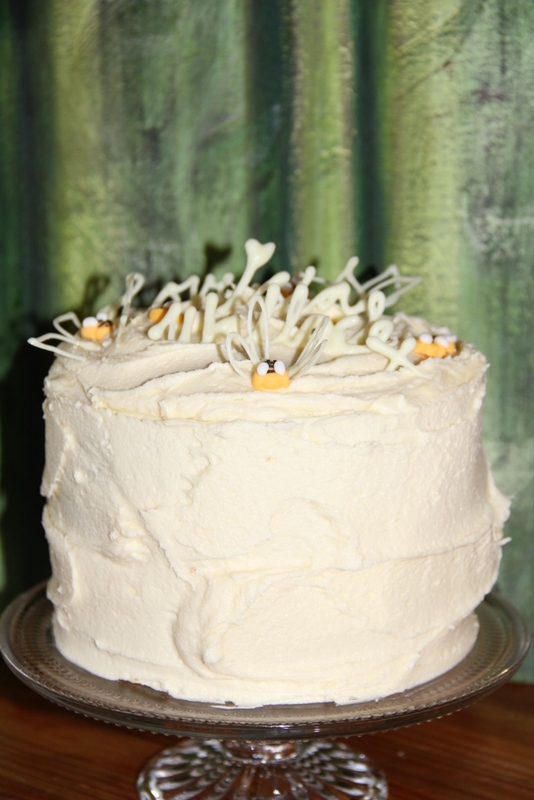 Also great if you want to have a few different cakes at your party – you can do 2 or 3 different ‘mini’ cakes. And they’re not even that small – about 15cm and quite tall. 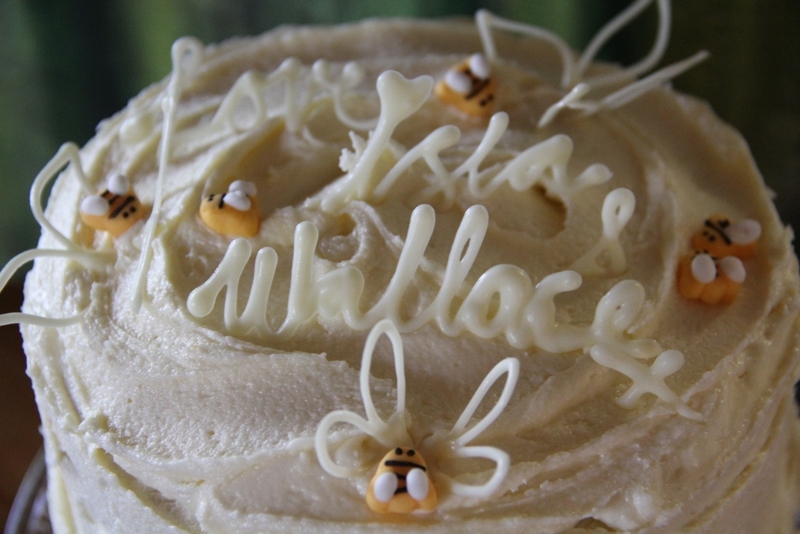 This is a vanilla sponge with honey buttercream and a custom white chocolate birthday message, along with some fondant honey bees.